Apple Mac is one of the best-selling computers on the market. 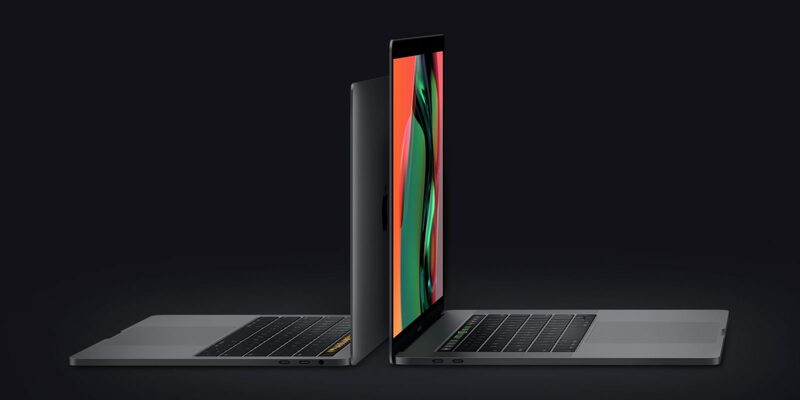 Apple has been improving its Mac lineup since day one, adding new things to the series while revamping the existing ones. Last year, the Cupertino firm announced a highly-anticipated refresh to its Mac family, with the latest Intel’s Coffee Lake processors and T2 revolutionary controller system. This allows for a huge performance boost and True Tone screens. However, there are times when your Mac becomes a cause of annoyance as it fails to work. In reality, there have been reports of issues Mac owners are facing with Apple Mac computers ranging from app crashing, connectivity issues to startup issues and unresponsive keyboard. If you are struggling to deal with the above Mac problems, then we are here to help. In this guide, we made a list of the most common Mac problems and show you how to fix them. Before we go any further, we always recommend you keep your Mac up-to-date. In reality, a new software update aims to fix bugs and errors as well as boosts your Mac’s performance. When your Mac boots up, tons of apps load up in the background. While this may come in handy as you can start your work right away, one major drawback is that startup apps may slow down your system. If this is the case, then the first solution is to disable startup apps on your Mac. To do this, click on the Apple icon at the top, then select System Preferences from the drop-down menu and click Users & Groups > Login Items. From here, you should see a list of all apps that load upon startup. Locate the apps you wish to disable and check the boxes next to them. In reality, disabling login items helps increase your Mac’s bootup time, thus improving its performance. However, if your mac is still running slow, then reboot your Mac. When your Mac finishes booting up, check if the problem is dealt with. If your Mac fails to boot properly, then try starting up your Mac in Safe mode. To do this, start your Mac and quickly press and hold the Shift key. Keep the key pressed until you see the Apple logo and the login screen. To exit the Safe mode, restart your Mac as usual. If your Mac won’t boot directly into desktop and you are stuck with a blue screen, then there is a good chance that a login item is not compatible with your macOS. In this case, you can remove an infected login item and start up your Mac per usual. 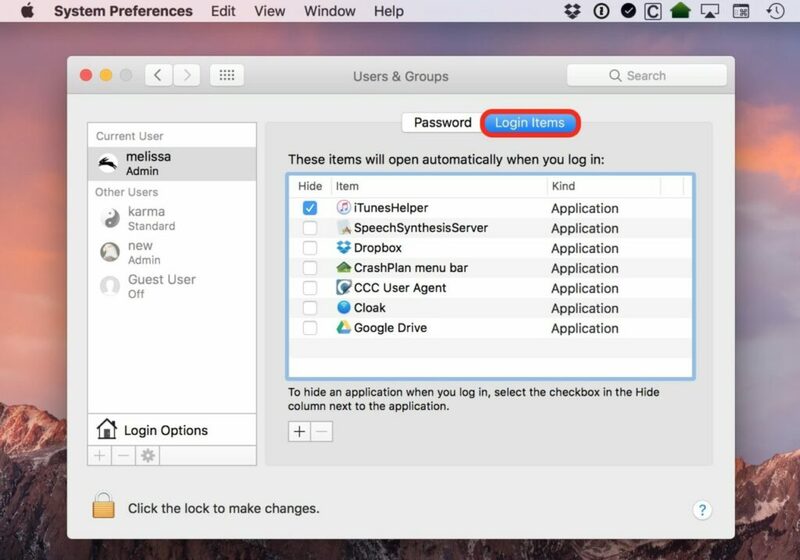 To do this, open System Preferences on your Mac, then select Users & Groups and select the Login Items tab. Once you are in, identify the problem app and remove it from the list. Once you are done, reboot your Mac and check if the problem is fixed. If it is still present, then remove all startup items and restart your system. If you don’t want to remove all login items, then you can disable them on a temporary per-login basis. To do this, hold down the Shift key when you see the login window on your Mac. Keep the key pressed until you see the Dock. Once you do that, your Mac should launch without starting any login apps. There is a barrage of apps released for your Mac every day, but not all of them are worth your time as some are just a waste of time. In reality, a lot of Mac owners have reported that their apps become unresponsive and fail to work properly. If you are one of those who have been affected by the issue, then the best shot is to force quit it. 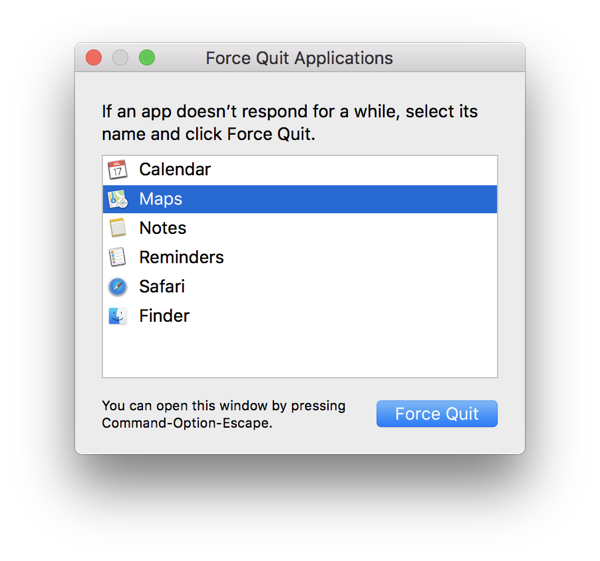 To do this, press Option, Command, and Esc (Escape) keys at the same time, then select the app from the Force Quit window and hit Force Quit to shut it down. Once you are done, reboot your Mac to see if the problem is fixed. If the problem is still there, then make sure you now have the latest versions of apps. To update a Mac app, launch the Mac App Store, then find the app, and check for any available updates. Keep in mind that an outdated app may include errors and bugs that prevent it from working properly. A lot of Mac owners are reporting that their Mac cannot connect to a local Wi-Fi network. The best hope of success is to forget that network and re-connect. To do this, open System Preferences on your Mac, then select Network and hit Advanced. From here, you should see a list of all preferred networks, then click the “–” button and hit Remove. Once you are done, reconnect to your network to see if the problem is dealt with. These are the most common Mac problems. Hopefully, our solutions work for you. If you have got any questions, share with us in the comments below.